Just recently, a venue by the name of Di Pompei opened it’s doors. It lays on the same grounds of the legendary Tobacco Road right in the heart of Brickell in Miami. Boasting in it’s on slogan that they are “More than ‘A’ Pizza”, Di Pompei delivers on many levels. The Vesuvius Pizza from Di Pompei is quite the attraction. Brickell’s newest up and coming Pizza Restaurant is located on 626 South Miami Avenue. At the grand entrance lies the Arco Di Caligola, a giant hand carved replica made of marble imported from Italy. This is sets the tone for the experience ahead for both Miami’s Best Pizza and Beer Gardens in Miami. During parties and events, this is where they breakout the red carpet. But as you walk through the arc, your first steps will be on Basaltina Lava Stones imported directly from Mount Vesuvius. 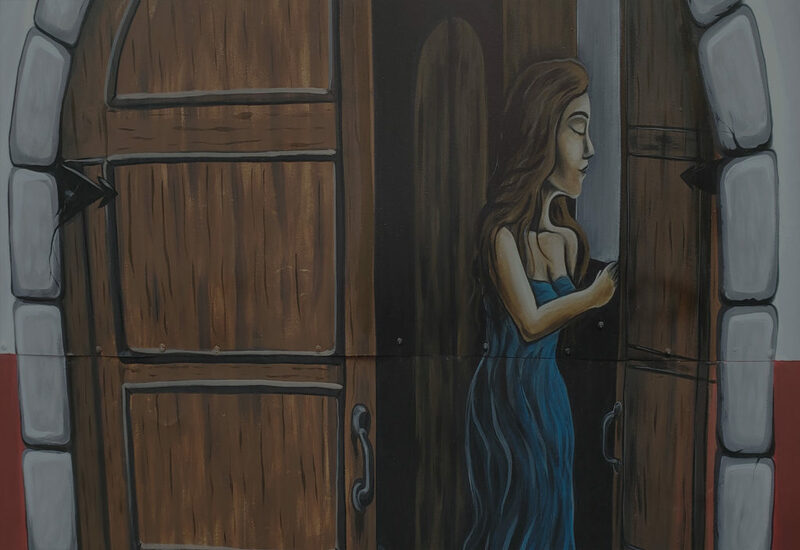 Step further and you will witness the rustic feel of the ancient markets of Pompei. 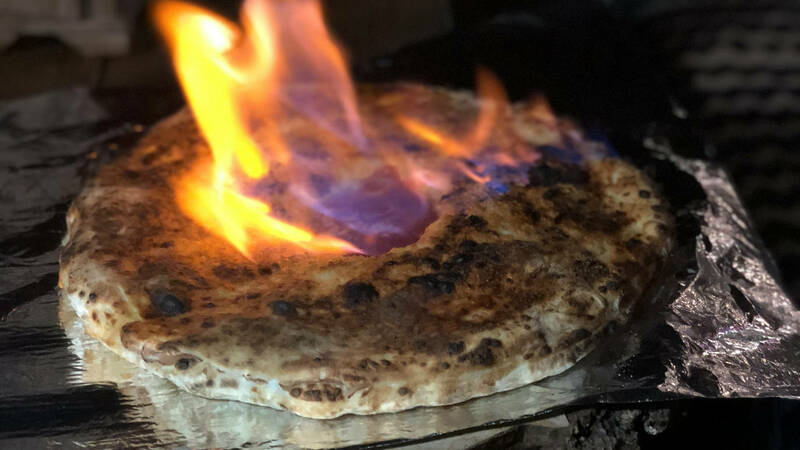 Located in present day Napoli, Di Pompei is bringing the ancient feel of the lost city along with its sacred Neopalitan pizza recipe passed down from generation to generation since 1870. Does Di Pompei serve Miami’s best pizza?! Let’s find out. Now that you are finally seated, Di Pompei Brickell boasts a full menu of craft beers, cocktails, wines and champagne. So Not only do they serve the best pizza in Brickell, this place also couples as a full bar and nightlife venue. From lagers, to watermelon and pineapple tasting beers, their selection won’t disappoint even the most experienced beer connoisseurs. If you’re looking to take a break from beer, or want to bring along a drinking buddy who simply is not down with the pale ale, look no further. Di Pompei staffs some of the best bartenders and mixologists in the biz. Take a look at Di Pompei’s Pizza Menu and Craft Beer / Cocktail selection. You will not regret your visit as they are receiving some rave reviews on both Google, Facebook and Yelp. We all know Miami has a lot of amazing venues, but few can call themselves an open-air beer garden. 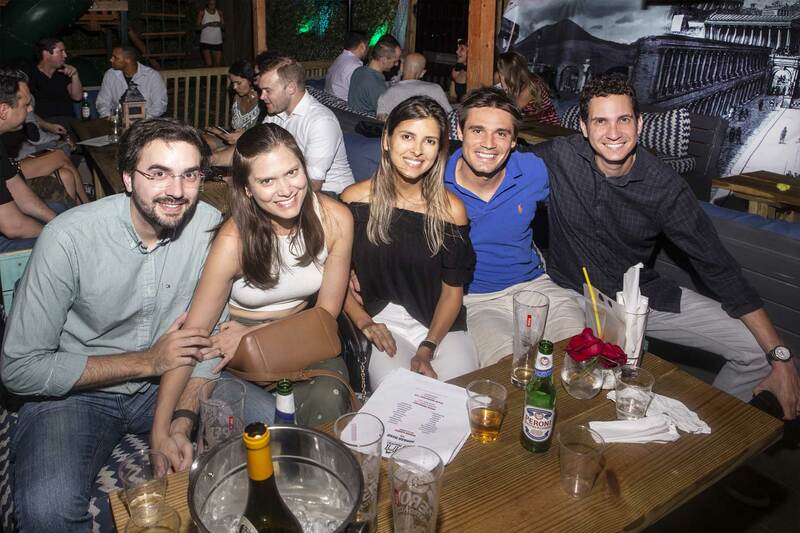 Located in the heart of the city, right across bridge from downtown and minutes from Wynwood, Di Pompei holds a capacity of over 2,000 people making one of the best event venues in Miami. Whether holding a small corporate event or a big party during art basel, Di Pompei’s food and drink selection make it one of the most intimate yet down to earth settings Miami has to offer. Di Pompei throws some amazing parties, corporate events and happy hours. Swing by and check out the digs!!! Previous articleThe Post Malone Sunflower (Into The Spider-verse) is Super Dope.